By Peggy Duke (illustrator) and Michelle Schoffro Cook, Ph. D.
This complete guide will get you growing, harvesting, using, and healing with herbs Â the worldâs oldest and most effective natural medicines. 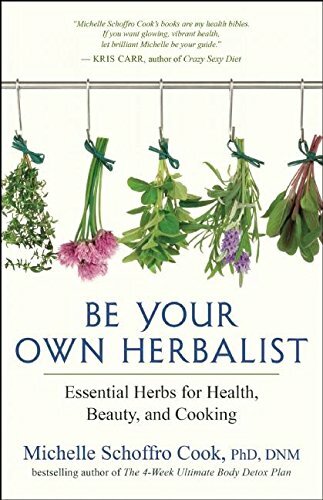 Popular health writer Dr. Michelle Schoffro Cook profiles thirty-one common and easy-to-grow (or readily available) herbs, sharing scientific discoveries about their usefulness and offering more than one hundred easy ways to use them in delicious recipes, healing teas, and soothing body treatments. Youâll discover ways to delight body and mind as you incorporate Mother Natureâs medicines into daily life, where they nurture and protect.